Physical Therapy & Beyond | Get Back to Enjoying Life! No Prescription Required. Thanks to Direct Access, you no longer need a prescription from your physician to see a physical therapist. This new law allows you to see a licensed physical therapist immediately so that you can get the out-patient physical therapy care you need now. Most health insurances cover physical therapy obtained by using Direct Access. Get Back to Enjoying Life! We offer an array of innovative treatment methods. Following an initial evaluation, you will be treated with the goal of returning you to your prior level of function. "My back was so bad this last pregnancy that I was at Physical Therapy & Beyond almost every week getting a massage. The massage therapist, Helene, was able to move him off my spine and to the center of my back just by massaging my back & never touching my belly. It saved me!" "I came to PTB years ago when I was first diagnosed with scoliosis. In the following years, I've reduced and maintained my spinal curve, but moreover I've learned how to live with scoliosis through understanding it better and incorporating treatment into my life." "Physical Therapy & Beyond allowed me to continue to serve my community as a paramedic. It has taken me from pain to freedom of pain and made life more bearable. Eric is awesome, Lindsay too!" "Being here has given me a sense of control over my issue"
"PTB helped me a lot with correcting my frozen shoulder and learning bio feedback for my pelvic floor issues"
"PT has helped me in so many ways but mainly with my back pain!" "Physical Therapy & Beyond made me stick to a routine at home in order to get back to work faster... and what a great staff!" "I have been getting massages for 20+ years and have always had tension in my neck. My new injury brought me to Shayne at PTB. In one 30-minute massage I felt immediate relief in my problem areas. Shayne really listened to where my areas of pain are and worked out all of the tension and pain. By far the best massage for pain relief I have ever received!" "PTB provided me with great exercises and kind staff who are very patient with me"
"Physical Therapy & Beyond has helped decrease pain in my back and my scoliosis curve improved"
"The team here supported me in staying strong and active during my pregnancy"
"Physical therapy decreased my pain level and allows me to enjoy more activities in my everyday life"
"The curve on the lower left side of my back has gone from 13 degrees to 7 degrees since I started going to therapy here"
"My scoliosis curve went down from 18 degrees to 13 degrees and I grew 4 inches!" "Learning to relax my pelvic floor is something I am working on and am being taught how to do at PTB. It is working in baby steps!" "I have seen improvement for sure. The staff are always warm, friendly, and very helpful." "Physical Therapy & Beyond helped my back feel better and I'm very happy. This place makes me feel great"
"Laura has changed my life. Twice. She helped my come back from a very debilitating injury. A few years later, Laura helped me recover from a compression fracture, too. I will forever be grateful." "Although I am new to PTB, everyone has been so nice and I feel so welcome. The schroth therapy has been helping with my scoliosis. Thank you to everyone here!" "Thanks to my physical therapist I have a stronger core, can walk further without a cane, and have less pain in my back"
"Physical Therapy & Beyond helped my scoliosis curve improve and my back pain decrease significantly"
"PT & Beyond has helped me with my scoliosis and made me more comfortable in my back brace"
"The physical therapists here have relieved my back pain and improved my bladder control with kegel exercises"
"I am an MS patient and being a client here at Physical Therapy & Beyond has given me back my freedom and confidence to do everyday tasks." " I now have complete range of motion in my neck and can breathe through my right nostril again. My headaches have declined,too. Thank you Eric! "After 3 visits my pain has decreased by 50%. Thank you Cindi and Lindsay!" "Fantastic! I had a terrible back spasm that hurt terribly. Eric and the team cured it within 2 visits!" "I am feeling better and it's due to the staff at PTB. Professional, knowledgeable, and effective. I love PTB!" "PTB has helped me with my chronic pain and mobility. I've also gained more knowledge about my injury and now have hope that I will finally recover 100%"
"I've noticed great progress since starting at Physical Therapy & Beyond. My leg strength has increased dramatically!" "I highly recommend this PT office. 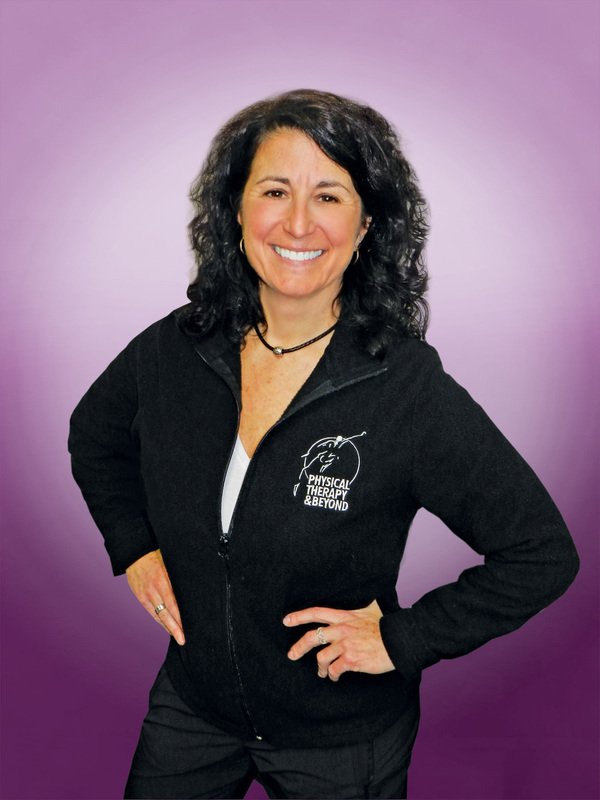 Heather Kramer helped me so much with my back and shoulder pain." "I have received excellent treatments from the physical therapists at this company, especially Laura and Eric. They are so kind, caring, and skilled." "Along with women's health doctors, Cindi held a presentation on pelvic health and it was dynamite! Very informative, enjoyable, and was presented with such passion and enthusiasm. I can tell Cindi really cares about her patients." "PT&Beyond has encouraged me to keep up with my exercise program and get much stronger. Not only has my injury gotten better, I am on a much healthier track in life!" 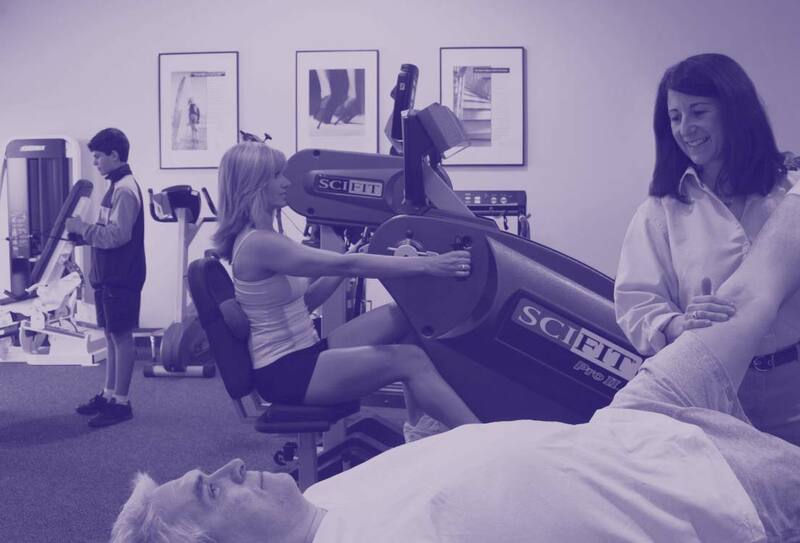 "Mike, the PT aide, is incredibly knowledgeable of his duties and directs the patients through their exercises well. The whole staff is very kind and thorough. I am always happy coming to Physical Therapy & Beyond and I know I will benefit from this experience." "Without Cindi and her amazing crew I wouldn't have known how to manage my pain over the past 12 years. I always feel better after leaving physical therapy and that is so important to me." "PT & Beyond helped me find a world without pain! The staff's dedication and hard work helped me heal and gain my life back." "My scoliosis curve went from 14 degrees to 2 degrees thanks to my therapists at PT & Beyond!" "Thank you Heather K. for increasing the mobility in my neck. I feel generally stronger and happier now that I am feeling so much better." "The staff at Physical Therapy & Beyond are amazing, they're like one big family. My back feels so much better, already!" "I already feel such a difference in function since my evaluation. Physical therapy has helped me get back to my daily routine without pain. All employees are friendly, attentive, and professional. I look forward to coming every week!" "Everyone is so nice. I could barely move my leg and now I have full range of motion back. Thank you everyone for your hard work!" "The physical therapy I've received has made it easier to do my everyday chores. I am continually seeing improvements!" "Every staff member at Physical Therapy & Beyond has gone above and beyond for me. Before physical therapy, I was pretty broken- a lung transplant, hip replacement, knee replacement, and so much more. Thanks to the amazing team at PT & Beyond I will now be able to go back to spin class and riding horses...things that I thought I had to give up for good! It is safe to say my life has changed due to everyone at PT & Beyond. The therapists, front desk, aides...they are all the best and I am lucky to say they've become like family!" "After leaving my first visit at Physical Therapy & Beyond I feel so positive about my care. The information given to me in my evaluation regarding my bladder situation has answered questions I've had for years. I am already starting to see changes and I could not be happier." "PT has helped me 'beyond' belief. I am living a quality of life I haven't had for a decade." "Physical Therapy & Beyond is a phenomenal company! My therapists educated me on exercises to do at home that helped give me the most out of my treatment. The hands-on manual treatment really helped relieve my pain, too. Overall, PT & Beyond provided a relaxing and fun PT experience!" "Physical Therapy & Beyond has helped me so much with my scoliosis. Thanks to my PT, I've learned to use breathing as a guide to prevent my scoliosis from worsening!" "I don't have to look like I'm crooked for the rest of my life. I now have control over my own body," she said. "While my brace is very important, the exercises have helped me change my outlook on my condition...I have gained strength and hold myself up with my own muscles...I don't have to feel that kind of pain for the rest of my life." "Helene, the massage therapist, is amazing! She got all my knots out during my massage." I can not say enough positive things about Physical Therapy & Beyond! I am a dancer and went to PT & Beyond after sustaining a foot injury. I worked mainly with Heather K., but also had the pleasure of working with Laura and Lindsay. The staff is extremely friendly, knowledgeable, and encouraging. In four weeks time, I went from hobbling around unable to balance on one foot to dancing full out without restrictions. Physical Therapy & Beyond helped me to regain confidence, balance, and stability in my foot, and also helped me to get back dancing in time for me to audition for a dance program. Now, a little over one month of physical therapy later, I am dancing in a dance program in NYC almost five hours a day without restrictions and am walking seven miles a day as well, pain free! Thank you Physical Therapy & Beyond for getting me back on my toes (literally)! "Don't let anyone tell you that you are too old or nothing can be done to improve your pain and overall health. I suffered from pain in my left leg and lower back from scoliosis. The Schroth Certified therapists at Physical Therapy & Beyond taught me how to do the proper exercises and breathing techniques, and over time, the Schroth Method made a significant improvement in my pain and posture." "Physical Therapy is the best idea ever! Having had limited mobility in my left shoulder and arm, I now have full mobility and no pain. I am able to complete all activities at home and work without any difficulty. Physical Therapy & Beyond allowed me to feel in control of my progress and be an active participant in my recovery." I had a lot of pain in my hip area and c-section scar. After treatment from Laura I feel wonderful! My pain is gone and I learned how to help my body. Thank you Laura you are great! I had pain in my shoulder and neck. After treatment I feel incredibly better and very knowledgeable thanks to Cindi! "I lost the ability to sit in a chair. Lindsay was my therapist and now I feel strong & back in control. PT has brought me back to doing normal activities!" "I'm feeling better, well enough to join the gym to keep up my exercises. Heather, you are the only physical therapist who has ever helped me!"